Do you want to live downtown within walking distance of fine dining, arts and entertainment, exceptional shopping and the city's exciting nightlife? Then Residences on Bloor apartments is absolutely the right place for you. When you live at Residences on Bloor, you're in the heart of Canada's dining and shopping capital. Step out of your Toronto apartment rental right into the buzz of downtown entertainment. Koerner Hall, Royal Ontario Museum, The Bata Shoe Museum, movie theatres and a host of art galleries are all within walking distance. Stroll to any of the trendy neighbourhood restaurants and bars and shop at the city's most upscale boutiques, specialty stores and the Hudson's Bay Centre. You're steps from the Bloor Street subway and close to major roads to get all around town. For relaxation, there are several parks and trails right at your doorstep. Enjoy all the delights of condo-style living, including hardwood and ceramic flooring, in-suite storage in most suites, air conditioning and heat and hot water included. Choose from stylish bachelor, one, one bedroom plus den and two-bedroom apartments. Some of our larger suites include dishwasher, washer and dryer. For added convenience, there's a clean and spacious laundry facility in the building. 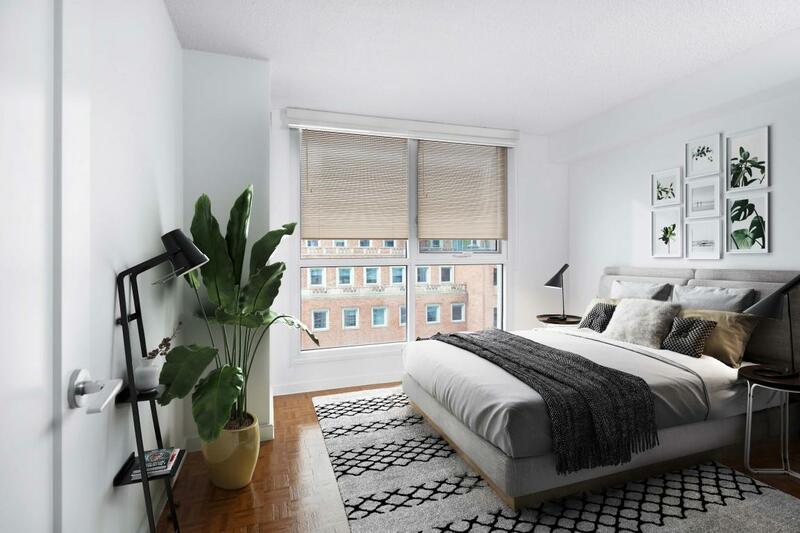 Residences on Bloor gives you all the perks of a condo lifestyle, including a fully-equipped fitness facility, indoor saltwater swimming pool, party room, patio and barbecue area. Not only is your car secure in our underground parking garage, it's also easy to keep clean with our handy cash wash. Best of all, there's an on-site management team and regular resident events so you can feel part of a friendly community from the moment you move in. Residences on Bloor is professionally managed by QuadReal Residential Properties LP.